When I got to college in 1992, Pearl Jam was a big deal, and Kurt Cobain was still alive. The first Gulf War had recently ended, and Bill Clinton had not yet assumed office. It’s now 2017, and for the last three semesters, I’ve been teaching Art History at the local community college. The class is called “Introduction to Art,” and I enjoy sharing my passion with a bunch of Post-Millennials who were reared on screens, calm in the knowledge that Barack Obama had their backs. As I built my curriculum, I realized that for thousands of years, art was used in service of wealth and power, with few exceptions. This idea of personal expression, speaking truth to power, and radical innovation, that drives the best in contemporary art, would have been unimaginable to our artistic forebears. 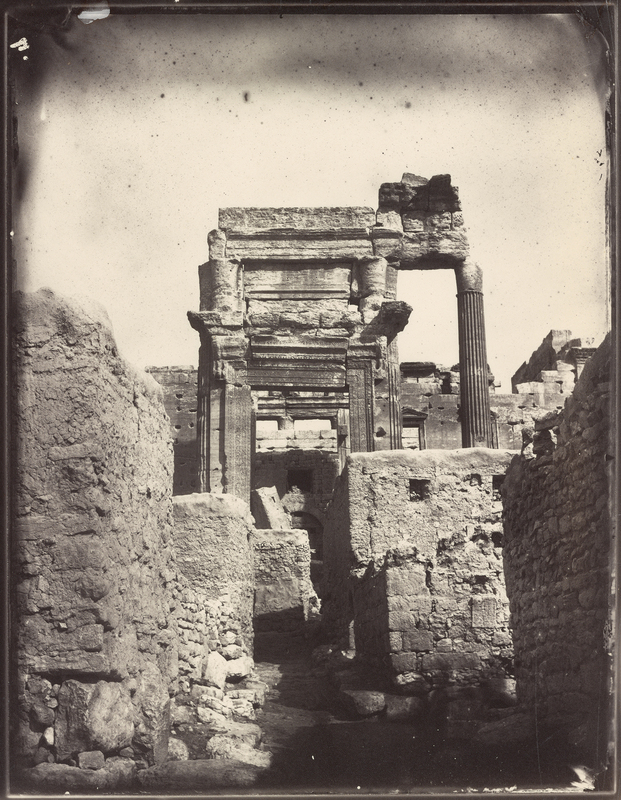 Rather, artists and craftspeople were recruited, (if not compelled,) to make objects, buildings and images that communicated directly to an illiterate populace. The message was consistent across cultures: We are in charge. We are the ones bestowed with divine right. Cross us at your peril. There have always been people who craved power, and were willing to do whatever it took to exercise control over others. Whether out of a desire for riches, because of actual belief in a religious theology, or because they simply craved violence and destruction. Hitting up your local museum, if you live in a major city, is far easier than catching a flight to Rome to walk through the Forum, before taking a train to Bari, grabbing the boat to Corfu, taking another boat to Athens, and then perusing the Acropolis for a little compare and contrast. I wouldn’t be me if I didn’t ramble, but I always get to the point eventually. 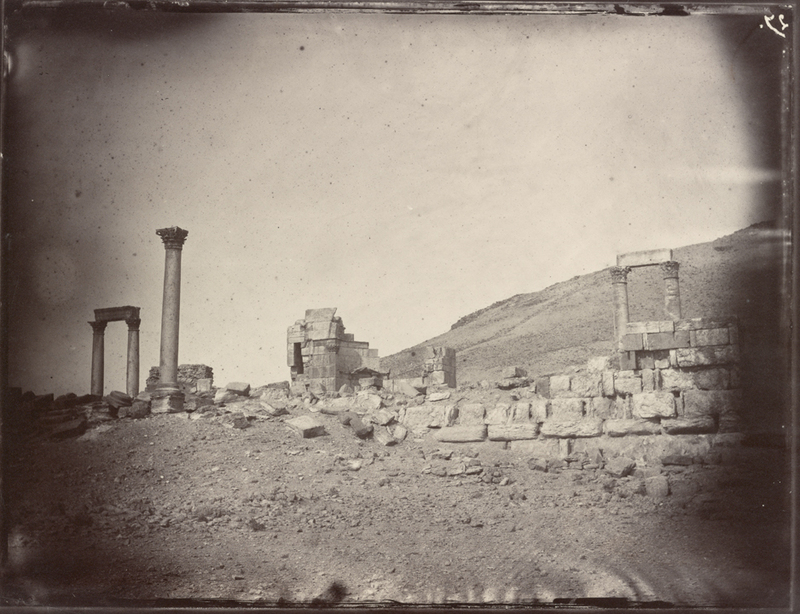 This month, in our new feature highlighting fascinating digital portfolios, we’re headed back to the 19th Century, when the French sea captain Louis Vignes first visited the ancient Syrian desert Oasis city of Palmyra. 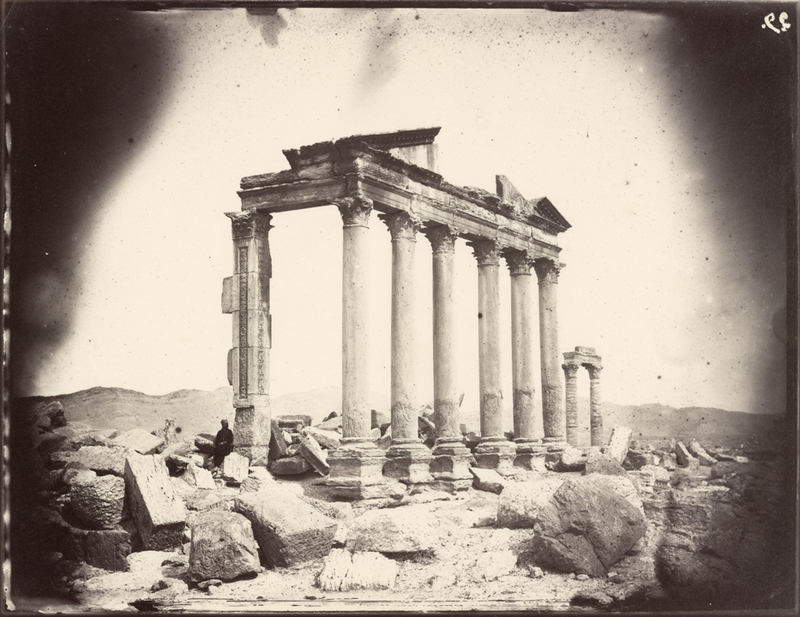 Earlier this year, the Getty Research Institute in LA published, “The Legacy of Palmyra,” which they believe is the world’s first entirely online art exhibition. 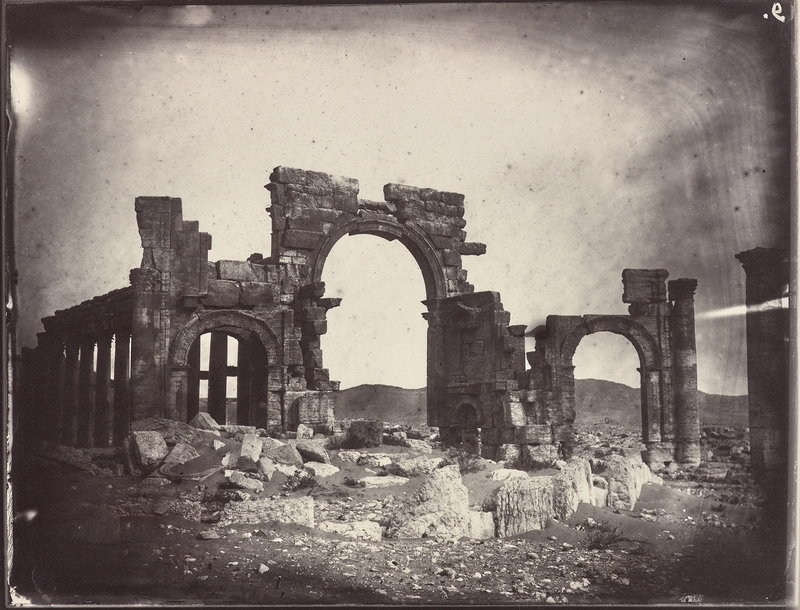 It features Mr. Vignes’ amazing photographs, alongside other visions of the city, which reached its peak in the 3rd Century AD, before it was conquered by the Romans. The GRI’s exhibition, which is as cool as ISIS is terrible, is an extensive effort to highlight the manner in which history remains relevant. It took a year to produce, featuring copious hours by a well-constructed team, which was led by curators Peter Bonfitto and Frances Terpak. Ms. Terpak was kind enough to agree to an interview, so I could learn more about the Louis Vignes pictures, and the exhibition in general. 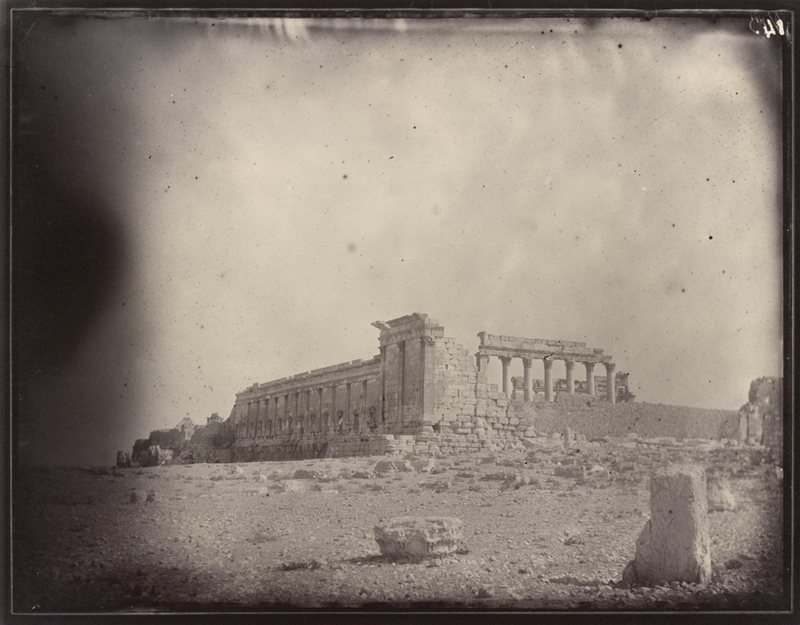 Many photographers working today are aware of the subset of photo history, in which independently wealthy people have risen to the top rank of the medium. (I’m not naming names, but then again, I don’t have to.) The tradition of the upper crust adventuring and creating is nothing new, and explains the origin of the Vignes photos. 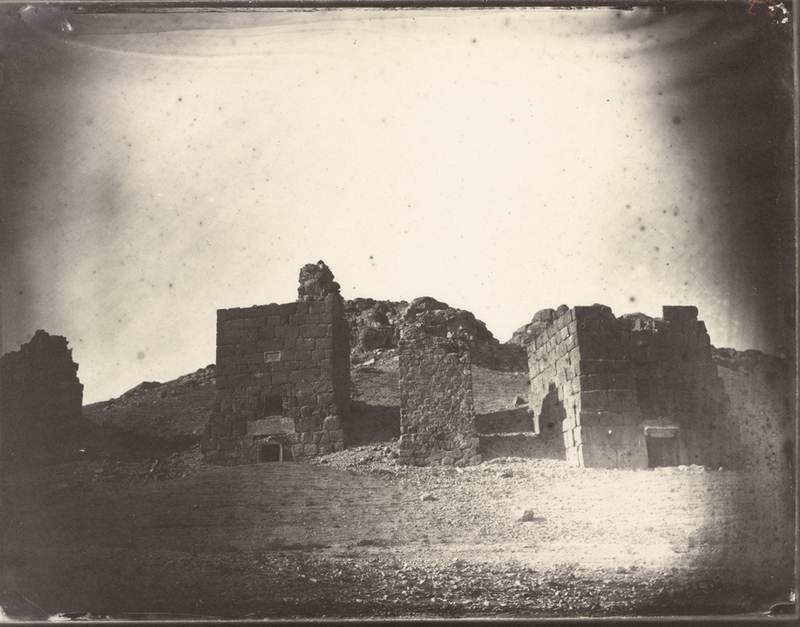 Much of what transpired has been lost to history, she told me, including whether Louis Vignes made significant work after his excursion, but it is believed the duc hired the famed French photographer Charles Negre to teach Vignes how to make prints in the field. 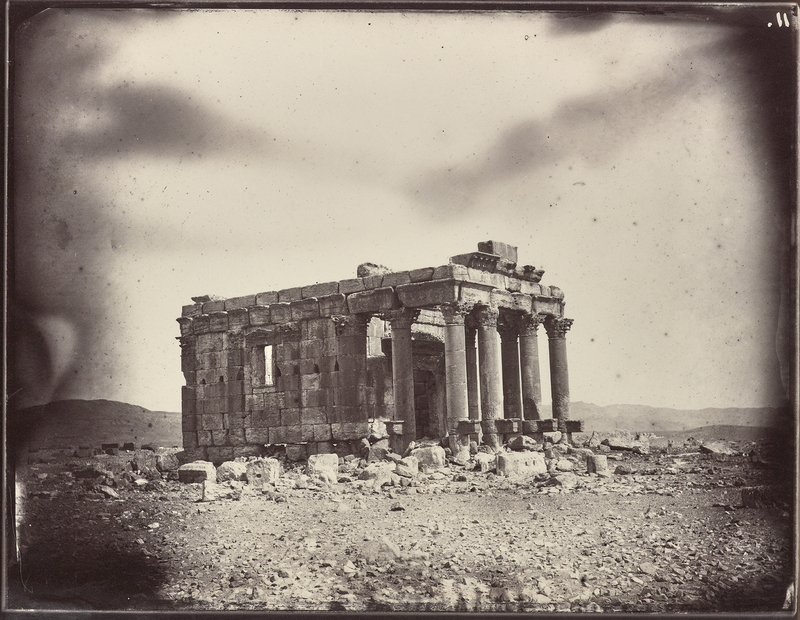 The Getty Research Institute purchased the Palmyra prints in 2015, and received such an outpouring of interest in a blog story about the acquisition, (and a concomitant promotional Facebook post,) that the curators realized there was an untapped desire for further information. 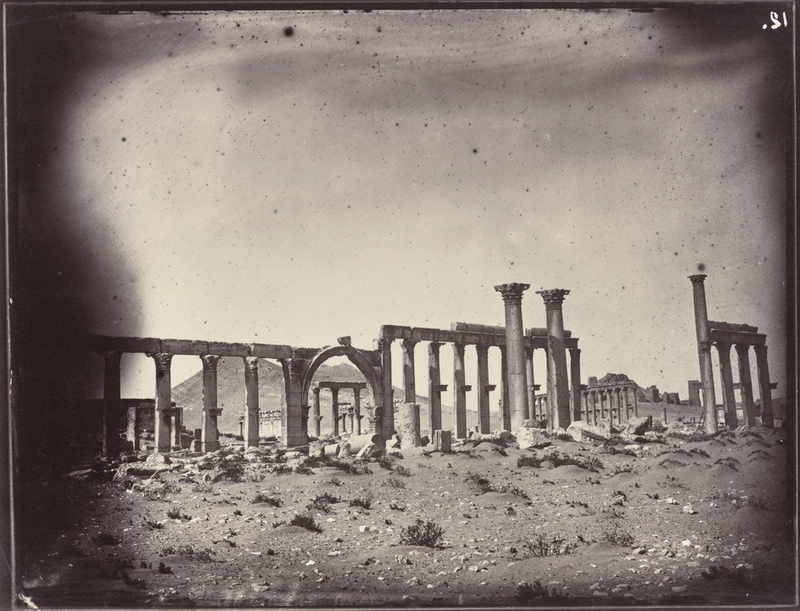 Surprisingly, the acquisition was made before ISIS destroyed much of the Palmyra ruins, but the subsequent ISIS attack made it all the more relevant. Research institutions like the Getty have a mission to preserve and educate, and working within cyberspace allows them to reach all the people who can’t spend a day exploring the two lovely campuses on the West Side of LA. She added that the site is also being translated into Arabic at the moment, so it can be better accessed by people who are actually being disrupted by War in the Middle East. 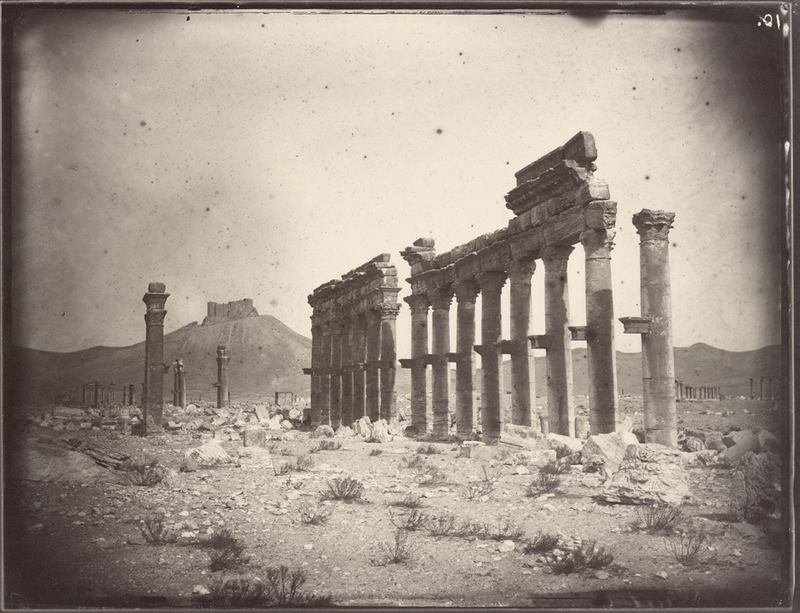 We also discussed why Putin is so intent on associating himself with Palmyra, as it has little strategic import in a larger war. Its power, rather, is symbolic, as it associates him with the history of human civilization, and the many rulers who’ve been etched into stone. “I think ancient monuments throughout the ages, from the ancient to the present, have always been symbols for rulers to promote themselves, and to show their right to be in power, because they are connected with these great civilizations of the past,” she said. Lest you doubt me, just today, not minutes before I started writing, I discovered this article claiming that the Syrian Army had “annihilated” one of the perpetrators of the Palmyra destruction, and this fresh video from RT that shows Russian soldiers clearing land mines from the recaptured ruins. I asked her why she thought they did it, and she replied, “Syrians don’t want to leave Syria. 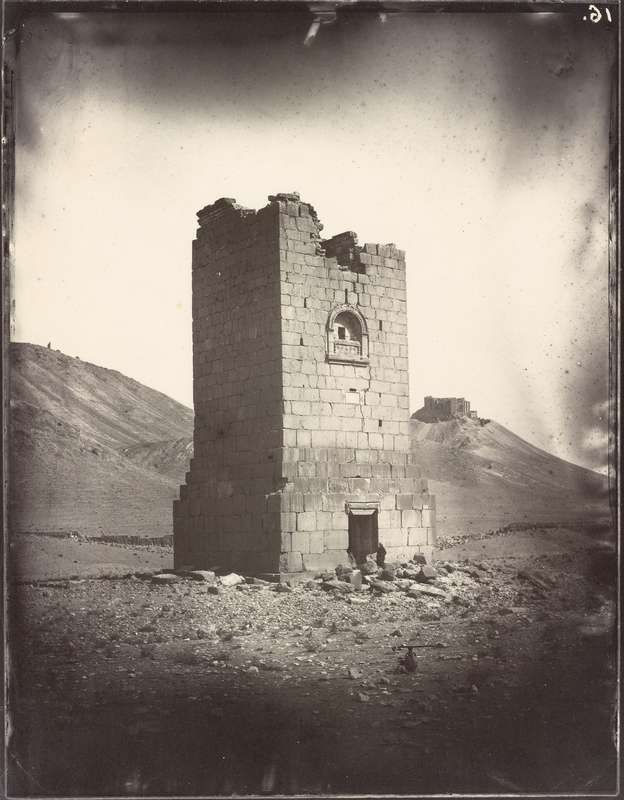 What people like ISIS are doing is they’re causing not just destruction of the monuments, but they’re forcing the people to leave because they’ve lost their heritage. 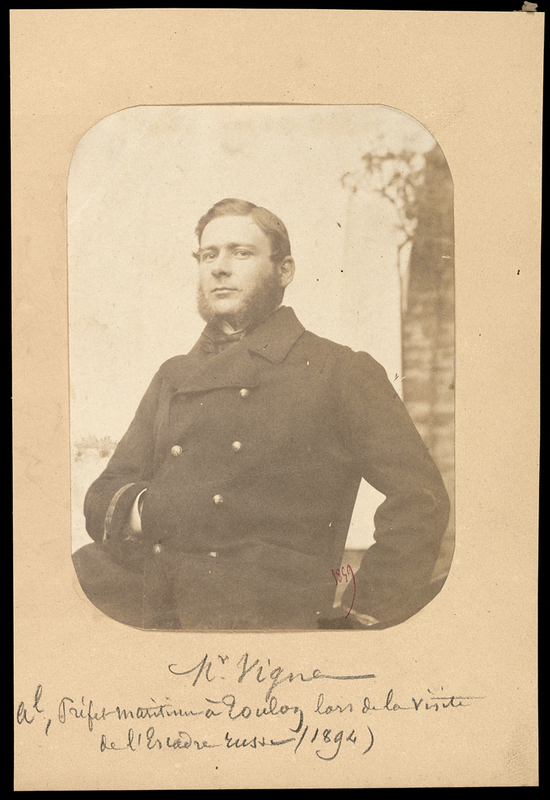 Ultimately, though, this is a photography blog, and the Louis Vignes pictures are pretty astonishing. 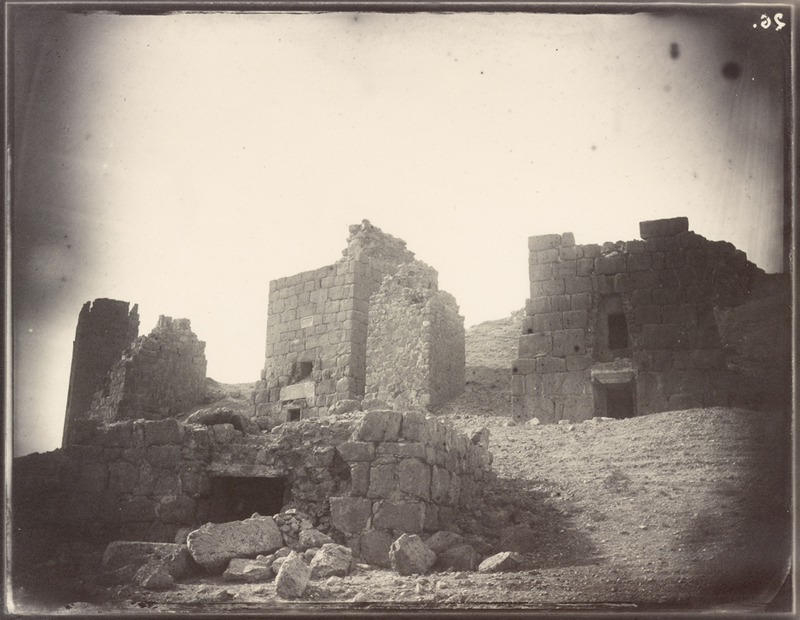 They capture a place that no longer exists, and the thought that we need to reach back to the 19th Century for documentation is rather sad. 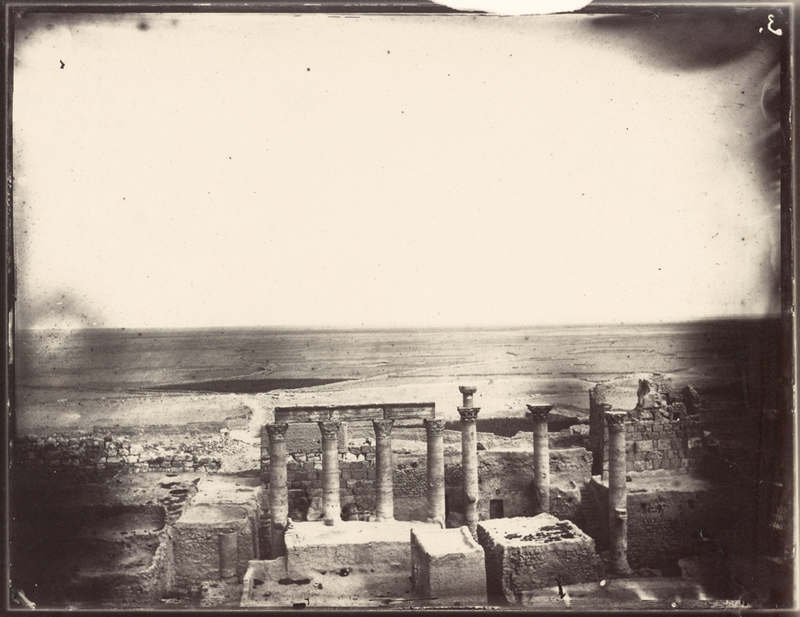 That said, Louis Vignes did not see the Palmyra that ISIS encountered, as some of what they destroyed was actually reconstructed by archaeologists in the 20th Century. The Vignes pictures far better reflect the Palmyra that sat, hidden in the desert for centuries, before being “rediscovered” by English explorers in the 18th C.
It was a multi-cultural place, even in antiquity, as it was a cross-roads between the massive Roman Empire to the West, and the Parthian Empire of Persia to the East. Ms. Terpak added that much of the 20th Century scholarship was conducted by Polish and Japanese teams, so the fact that it’s currently being mined by Americans digitally, and Russians IRL, is nothing new. Rather, I think I’ll let Ms. Terpak have the last word on the pictures, as she’s earned the right.